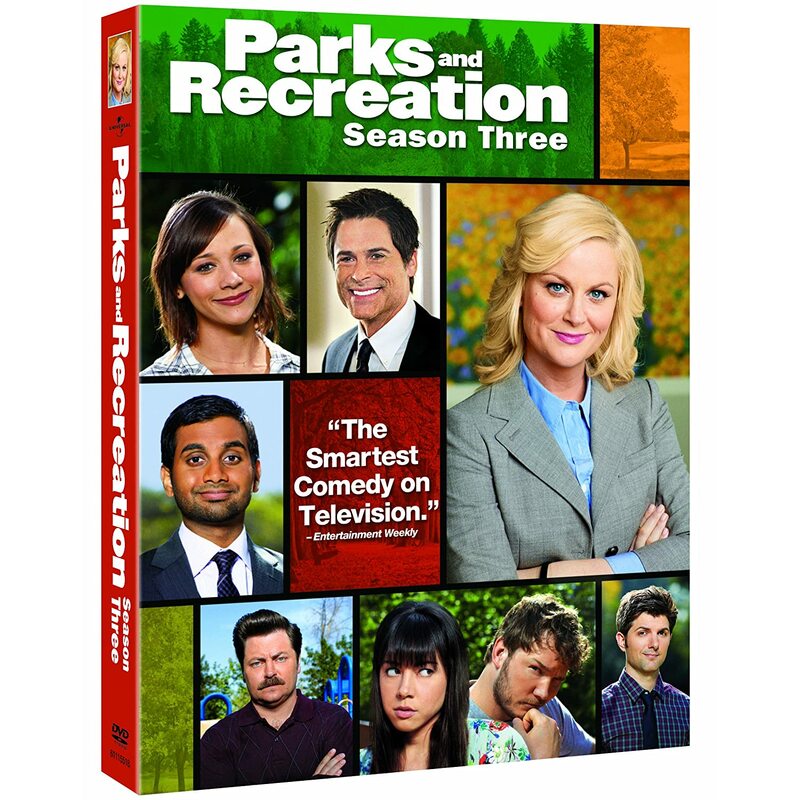 Quick Take: Parks & Recreation, "Campaign Shake-Up"
Review: Parks & Recreation, "Campaign Shake-Up"
(S0417) I don't know who's idea it was that all Pawnee residents wrap their lips around a drinking fountain, but they deserve a medal. I don't even use a water fountain unless I absolutely have to, so seeing those shots of folks going down on the public fountain convinced me to never use one again. The storyline of Leslie's (Amy Poehler) campaign has me reeling. On one hand, I love the reality of Leslie reaching to achieve her political goals, but on the other hand I miss her interacting with the other characters. On one hand, I love the fact that an idiot like Bobby Newport (Paul Rudd) is her toughest competition, but on the other hand, it's frustrating that Pawnee has so many idiots that would vote for him. On one hand, I love seeing guest stars like Carl Reiner and Kathryn Hahn but, on the other hand all I can think about is how long it's going to take for the yet unseen Mayor Gunderson to endorse a candidate. Somebody get Bill Murray on the phone already! I wasn't crazy about this episode which is rare, considering how hilarious I usually find Parks & Rec. 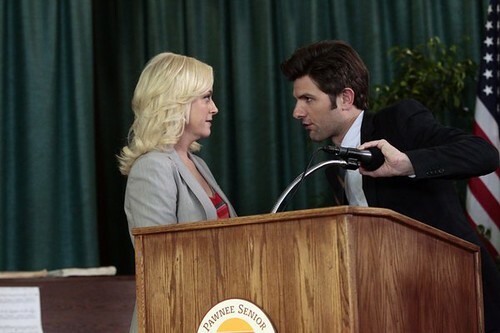 I don't like the fact that Leslie & Ben (Adam Scott) are being overrun by another campaign just because they're not willing to lie and/or steal. Leslie needs to start calling Bobby out on his obvious lies and tell the people of Pawnee that if they want an idiot for a councilman then he's the perfect choice. Considering how many idiots populate the city, that might be exactly what they want.